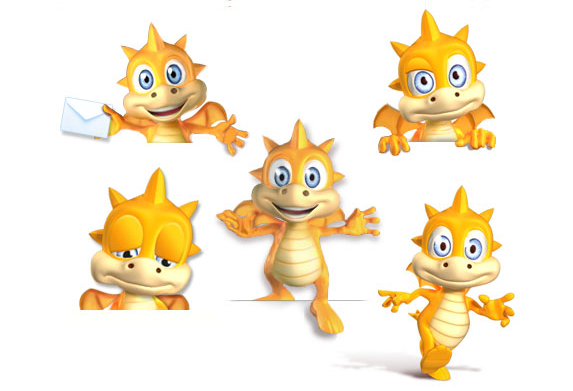 To accompany the new look of gamesgames.com, I was asked to give their mascotte Drago an update too. 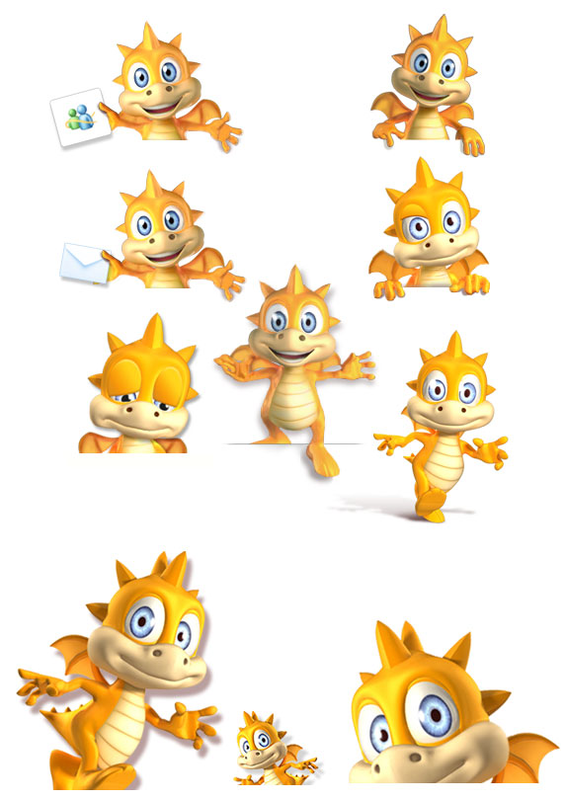 Gamesgames is a gamingportal for kids and parents, where you can play fun and simple games. 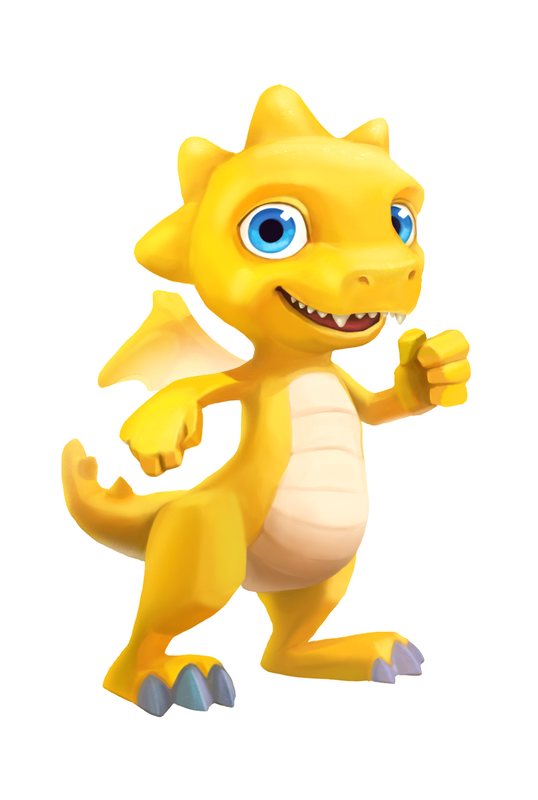 Their whole website got a new fresh look, and so did Drago. 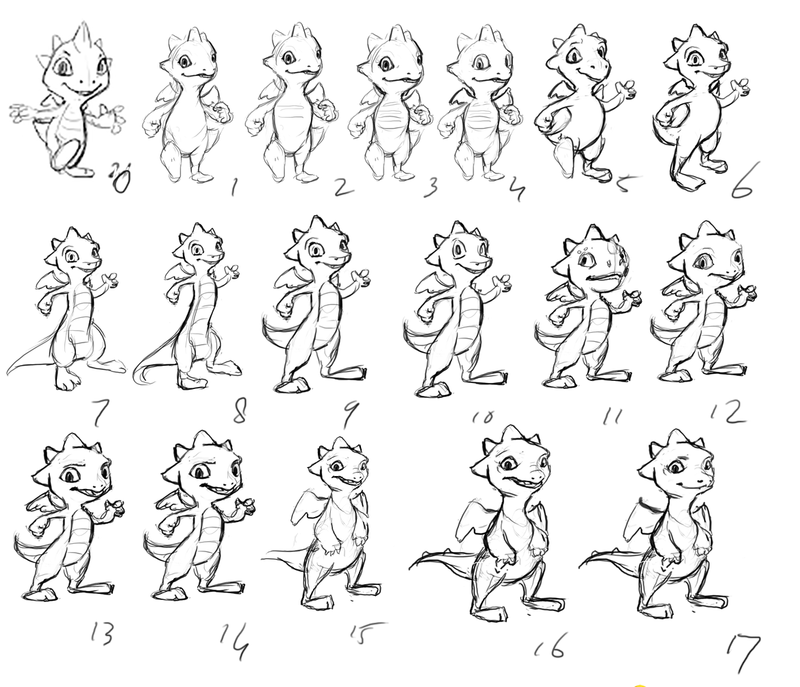 We wanted Drago to pop out, give him simpler shapes and keep the 3-dimensional style. To get started we’ve got the design of the new website delivered, the original Drago design and some keywords that described Drago’s personality: safe, quirky and funny. 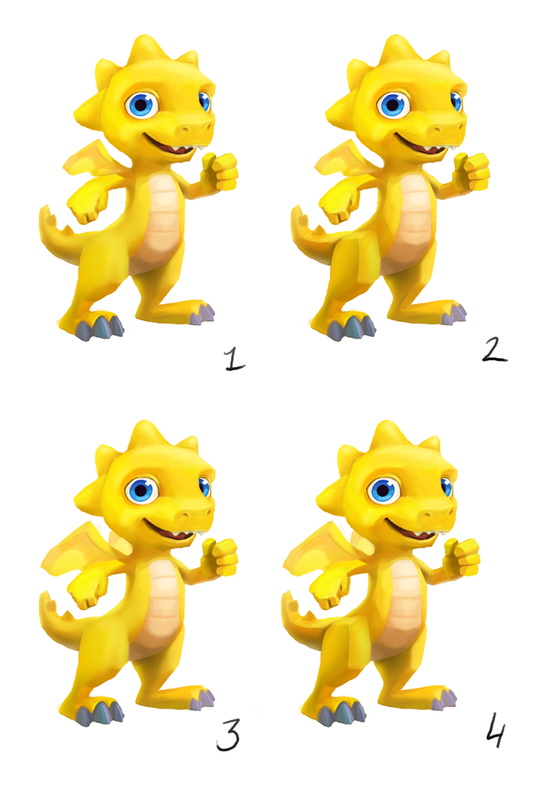 Gamesgames also wanted him to look a little less trippy, so reducing the contrast in the pupils would help a lot too. 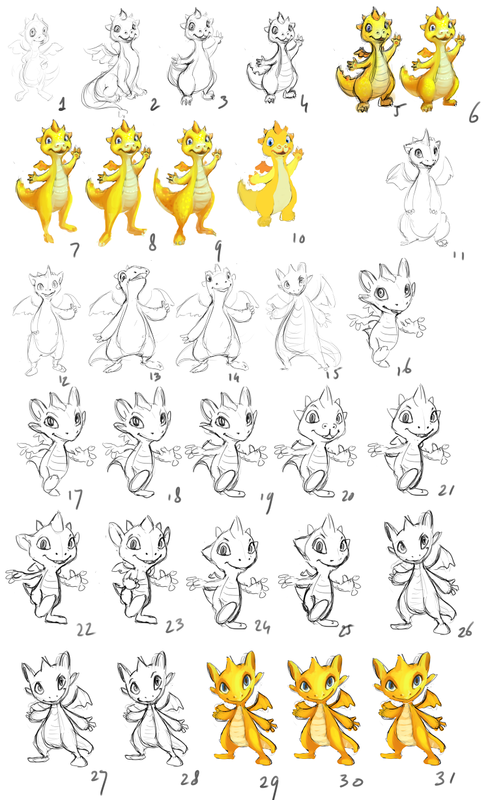 We started creating loads of thumbnails/little sketches for Drago, exploring shapes, weight in shapes and characteristics in shapes. 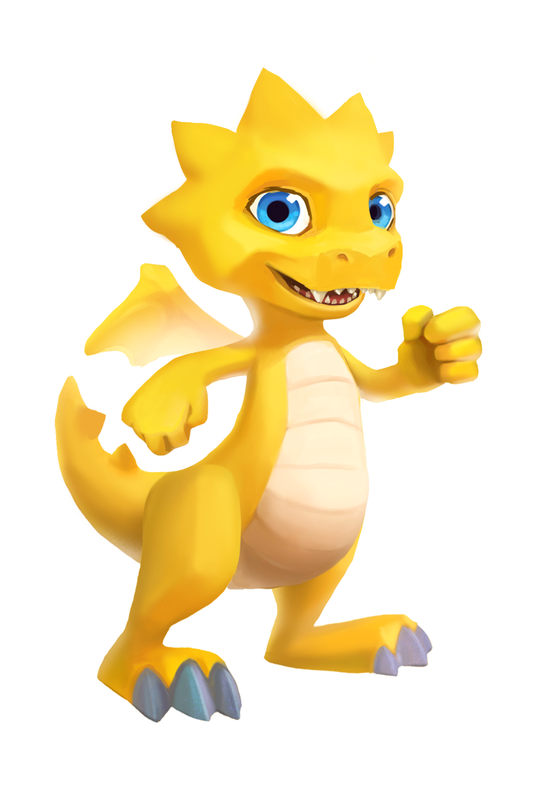 We wanted Drago to look energetic, ready to play, and competitive (I used my brother as inspiration for that). 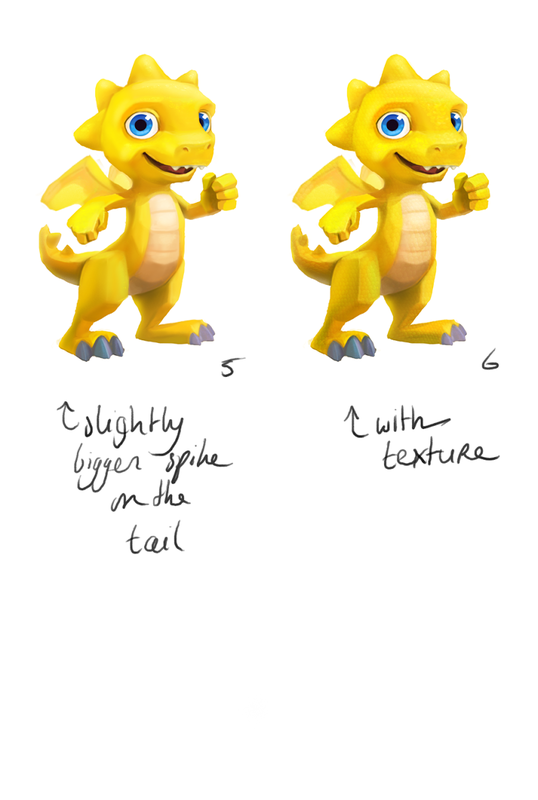 After some sketching and feedback we got to a potential character, which I then rendered. Feedback went more into details.